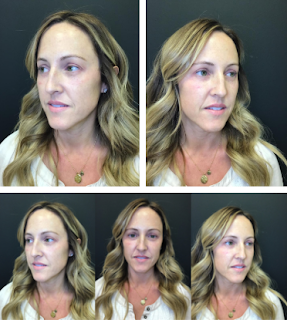 As most of you know, Juvly Aesthetics Medspa is my go-to for all cosmetic procedures. I've been going there for over a year and I'm so impressed. Not only in the physical aspects, but in helping me to feel more confident. Today's post is all about microneedling, which is a collagen induction procedure. It greatly helps to improve skin texture and firmness, reduce fine lines and wrinkles as well as reduce the appearance of acne scaring. I thought I'd answer all your questions throughout the post and down below. If you'd like to read about the other procedures I've had done at Juvly and why, they can all be found here. 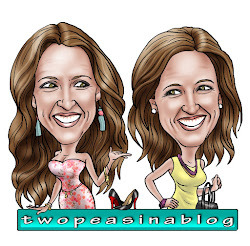 Be sure to use code twopeas25 for $25 off. Below is my before picture with no makeup on. Here are the photos they took before. Not the best angle but, you can see my skin texture. Microneedling involves using a device that contains fine needles. This "pen" minimally punctures the skin to create just enough of an "injury" to force the collagen and elastin to reform. A numbing cream is applied all over your face. After sitting for 10-15 minutes, you are completely numb and ready to go. My main areas of concern are right around my mouth so Chalie concentrated more in that section as you can tell below in my "right after" picture. Of course, she did my whole face but just a little extra in those concern areas. It really wasn't bad. I felt it a little more in my forehead and along my hair line but overall, there was very little discomfort. Afterwards, there might be a little bleeding and of course lots of redness. Over the next few days it's important to keep the skin moisturized (I used Cerave lotion on repeat throughout the day) and clean. Which means no makeup for a couple days. It has been one week since my procedure and already I've seen improvements in fine lines and brightness. I know that will continue to improve even more as collagen is re-built. Answering a few more questions below. How much is a session and how often do they recommend you get it? 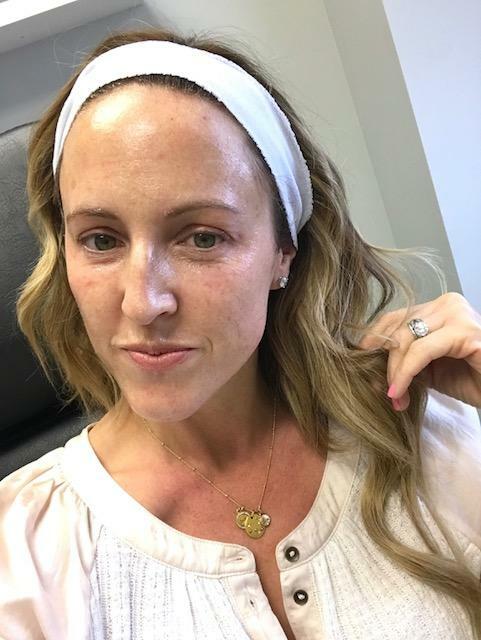 How many microneedling sessions depend on your skin condition. 2-4 times may give the best results. Each session needs to be spaced about 2 months apart. How long does it take for your face to heal? I had minor redness for about 2 days. I just kept applying lotion and did not wear any makeup for about 4 days. Is this also known as a Vampire facial? I just got regular microneedling. You can, however, get microneedling with the application of PRP (also sometimes known as a vampire facial). 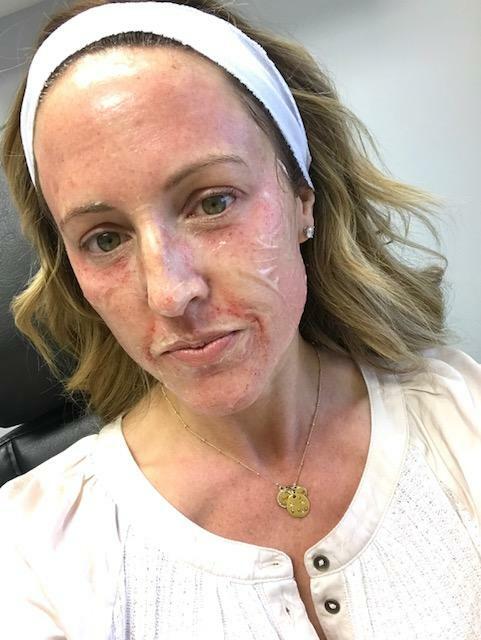 Before they start the microneedling, they draw some blood, send it through a centrifuge to extract the Plasma rich platelets. During microneedling, they apply this blood to get a deeper penetration and optimal results in creating new collagen. What are the benefits over a laser treatment? The recovery time is much less than with some laser treatments. 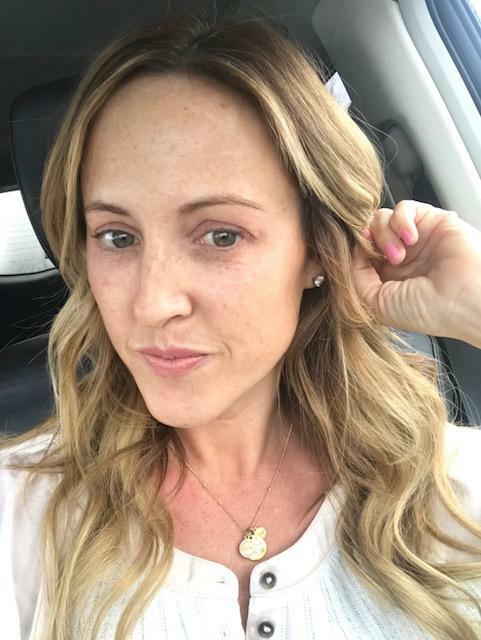 Are there any cons to microneedling? No. You have to remember that you won't see results right away. It can take a few weeks to start to see an improvement when the new collagen starts to form. Remember to use code twopeas25 for $25 off your first visit!